The flame at the top of an oil rig is an iconic image for the oil and gas industry. During the production of oil and natural gas, excess gas is burned for safety reasons in these elevated flare stacks. However, ground flares offer a less intrusive alternative. While open ground flares are suitable for high volumes of flaring, they need a sizeable plot of land compared to the more compact and enclosed ground flare. Ground flares perform the same function as an elevated flare stack – disposing of flammable material through combustion. However, there are reasons for choosing to flare closer to the ground. Elevated flare stacks are seen by some as an eyesore as they can impose on skylines and visual areas. Ground flares are preferable in populated or urban areas for this reason. Some oil and gas sites are also subject to limits on equipment height if they are located across aircraft flight paths. In this instance, ground flares are the only means for operators to flare excess natural gas safely. The large areas required to build ground flares, however, make it a costlier investment than if a site were to use an elevated flare stack. Open ground flares can be twice as expensive to build and operate, while enclosed ground flares can cost almost seven times more. Maintenance of ground flares can also be challenging. Pilot lights are the source of ignition in a flare stack and the flare tip is the nozzle that makes burning efficient. The flare tip on traditional elevated flares is what tends to require the most maintenance. However, should an issue arise, a spare flare tip is often kept on site. It can be swiftly replaced and oil and gas operations will continue. With ground flares being harder to access, significant maintenance would require a plant wide shut down. An unscheduled break in production could prove incredibly costly for operators. While ground flares may be an alternative to noisy and smoky elevated flare stacks, the traditional flare we see on most oil and gas sites remains far more cost effective; more affordable to build, operate and maintain. 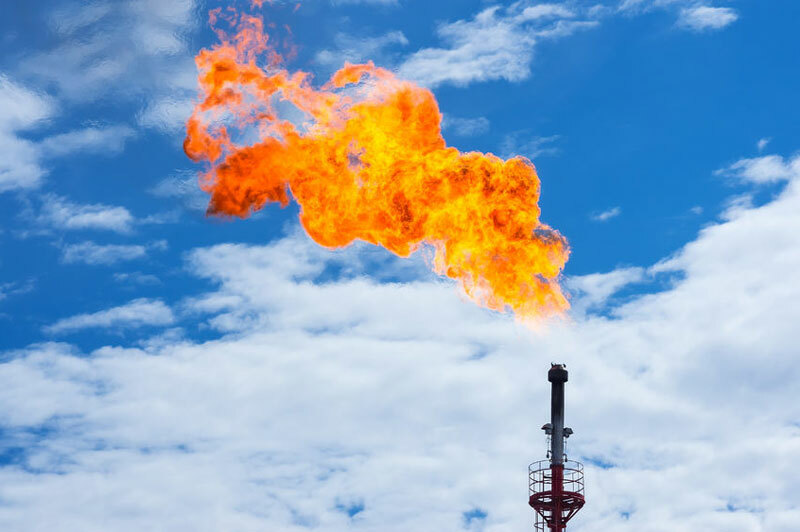 Whatever the flaring method, operators need to carefully monitor and manage flare gas to ensure operations run smoothly. Fluenta’s FGM 160 Flare Gas Meter uses ultrasonic technology to effectively measure and report flare information, helping oil and gas companies to monitor and maintain flaring levels at all times.